For the uninitiated Like myself, Soul Hackers goes by its more common name of Shin Megami Tensei: Devil Summoner: Soul Hackers. Megami Tensei meaning “Rebirth of the Goddess,” was originally based on the novel series Digital Devil Story by Aya Nishitani. Digital Devil Story: Megami Tensei, is the first game of the highly popular series and was released in Japan in 1987 for both the MSX and the Famicom. Atlus is the official publisher of the series except for the Famicom games which were published by Namco. Soul Hackers is the latest Japanese RPG in the Shin Megami Tensei universe where players use Demons as weapons to fight other Demons. This game is a port of the original Soul Hackers, which was released on the Sega Saturn in 1997 and the PlayStation in 1999. It is also the sequel to Shin Megami Tensei: Devil Summoner released in 1995. The game takes place in the would-be utopia of Amami City where a group of hackers call themselves Spookies lives. 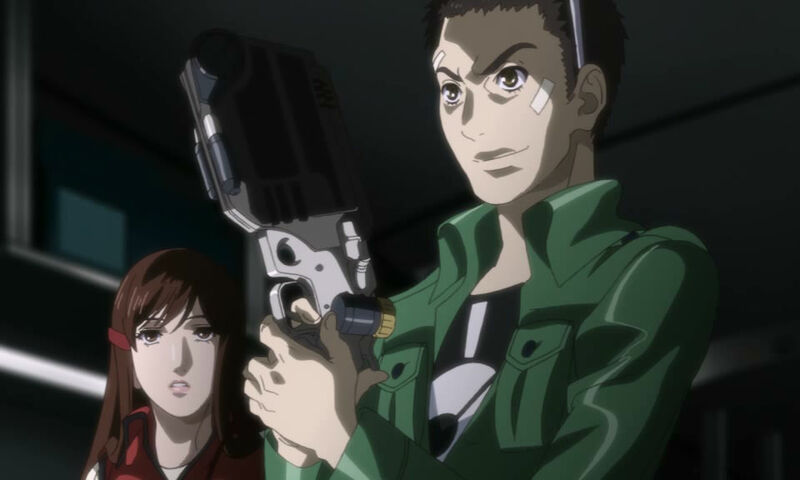 Yu-ichi (Yuichi Haga) as the FNG (F…… New Guy). Paradigm X is a virtual city created by the software developer AlgonSoft. The citizens of Amami City can access certain services or entertainment at this city. With Paradigm X still in beta, users can only access it with beta keys. In order to get a beta key for the virtual city of Paradigm X, the main character hacks into email servers. Through a series of odd events, the player acquires a gun type computer called the GUMP. Upon booting up the GUMP, the player encounters the Demon Nemissa who immediately possesses the player’s childhood friend Hitomi, which Hitomi is not very happy about. The GUMP is a Demon summoning tool that comes with pre-installed Devil summoning software. In previous games, summoners had to be skilled in the occult or have spiritual powers. Now, everything is done digitally with summoning, negotiating and fusion all being handled by the GUMP. With Soul Hackers making its way to the 3DS, players have the ability to use StreetPass to evolve a new type of Demon called Nemechi into a number of different forms. By exchanging Streetpass data, players can also collect Devil Souls (D-Souls) which grant access to rare Demons. Play coins can also be traded for D-Souls to acquire rare Demons. On April 16, 2013 Atlus will release Shin Megami Tensei: Devil Summoner: Soul Hackers in North America for the 3DS. Watch for the review of the game soon on Gamer Horizon.